AwF is delighted to see our previous President’s name carried on at GAF-India, Kochi, Kerala 21-24 November. The winner of the first Asian Fisheries Society Indian Branch Prof. M.C. 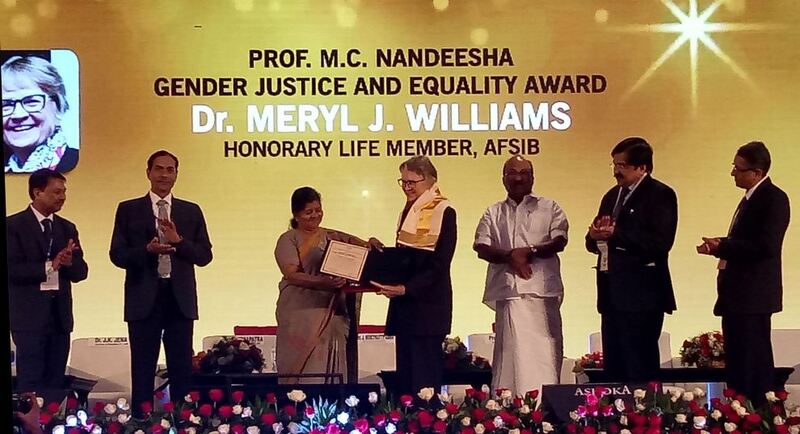 Nandeesha Gender Justice and Equality Award was AwF (Australia) Director, Meryl Williams.